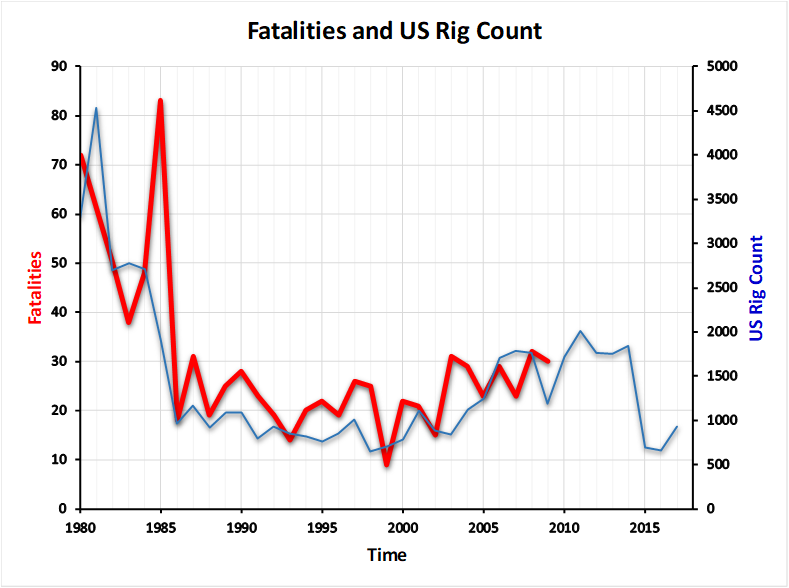 Our team conducted an exhaustive study 224 fatalities which have occurred in the Upstream Oil and Gas Sector from 2003 - 2017. 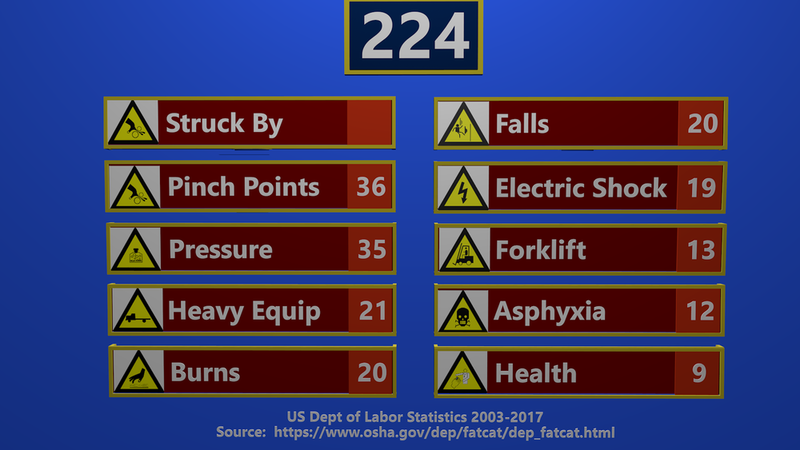 This industrial section has a collective fatality rate seven times higher than for all U.S. workers (27.1 versus 3.8 deaths per 100,000 workers). Our Oil & Gas Orientation program consists of the following ten (10) key safety modules. Each module contains at least three strategic Cause and Effect Real-World examples of a preventative action which has previously led to a fatality. Each of our Orientation Kits is outfitted with a pre-programmed VR Headset complete with Ten (10) Safety Module. Each module contains up to three 360-Degree Real World RealSafe Videos and interactive course materials. Along with our pre-programmed VR Headset, our kit also contains printed Workbooks and our Tactile Learning Models.